Eastern Lift Truck Co., Inc. offers one of the widest ranges of indoor and outdoor lift trucks, rough terrain equipment, aerial work platforms, utility and personnel vehicles, balers, compactors, loading dock, commercial door and warehouse equipment available today. 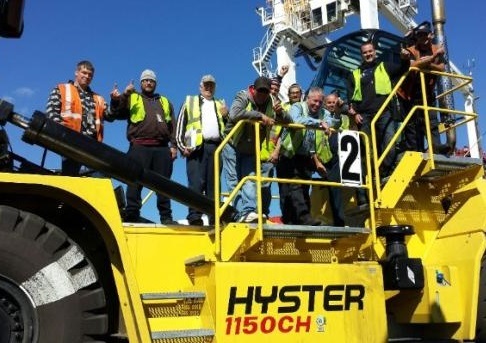 We partner with highly respected brands such as Hyster, Yale, Bace, Balyo, Combilift, Cushman, Genie, JLG, Load Lifter, Mariotti, Minuteman, Navigator, Nordock, Rail King, Rudco, Skyjack, SSI Schaefer, Steel King, Taylor-Dunn and more. As an award-winning material handling equipment dealer and have been serving the Mid-Atlantic region since 1971. Our industry experience and technical expertise ensures you will receive the best new forklift, aerial equipment or warehouse products for your application. Let's work together to move your business forward. At Eastern Lift Truck Co., Inc. we provide only the highest quality, most dependable equipment to help you reach your goals. By partnering with exceptional brands like Hyster and Yale, we strive to exceed your material handling equipment expectations. 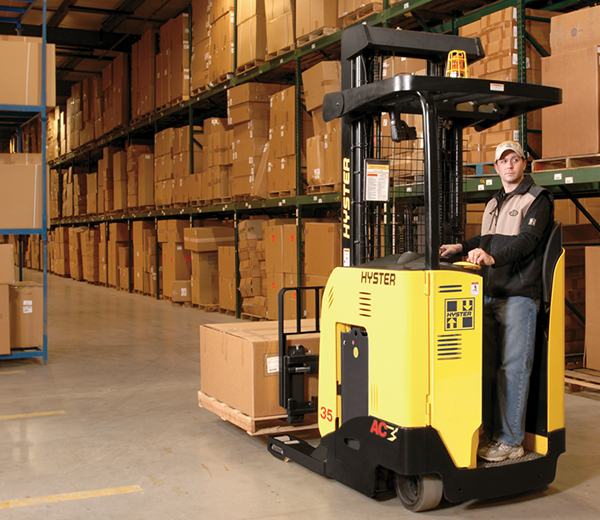 Whether you are in the market for a new Hyster or Yale lift truck, an articulating boom lift, a special compact or long load handling forklift, we want to be your sole-source for material handling equipment. Beyond our new equipment offerings, we also have one of the region’s most extensive selections of high-quality used equipment, warehouse products, and we provide short- and long-term rental options. 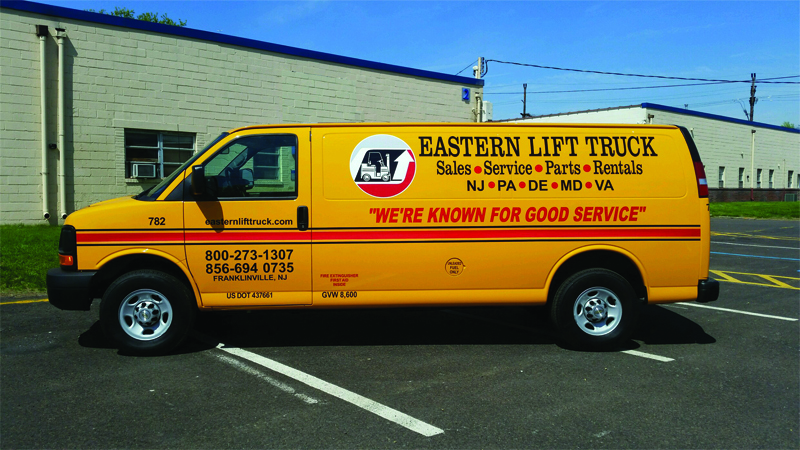 Eastern Lift Truck Co., Inc. was founded on providing exceptional service. It is a bedrock principle. We also stock a more than $8 million dollars’ worth of parts and provide other material handling resources such as training and certification programs and fleet management services. At each of our dealership locations in Delaware, Maryland, New Jersey, and Pennsylvania we have dedicated material handling professionals ready to support our customers with product expertise, quality equipment, and award-winning aftermarket care. When you need dependable new equipment for your material handling and storage challenges, turn to Eastern Lift Truck Co., Inc. for solutions. Give us a call today! 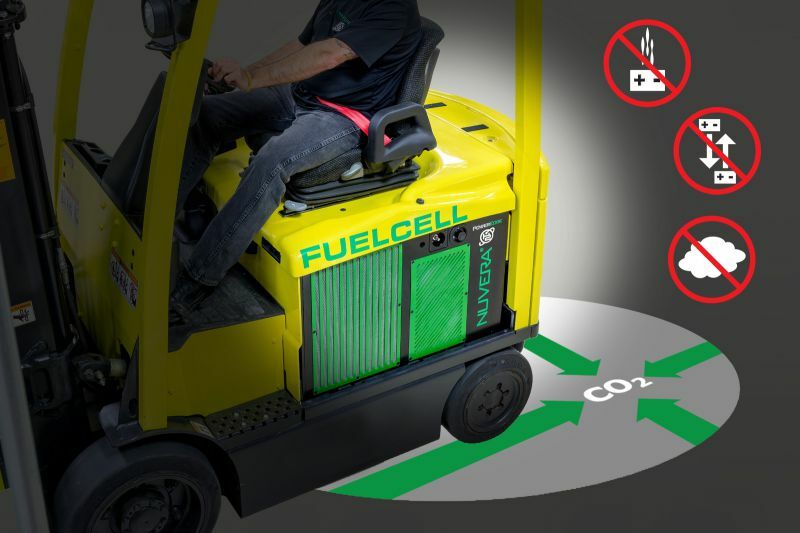 As a part of the Hyster-Yale Group, Nuvera Fuels Cells offer exciting hydrogen power options for forklift trucks. Contact Eastern Lift to learn how this environmentally-friendly technology can increase your productivity, truck operator availability, and available space for your fleet operations.